Jimmy Butler led a fourth quarter comeback as the Philadelphia 76ers overpowered the Boston Celtics 118-115 in a stormy Eastern Conference duel on Wednesday. 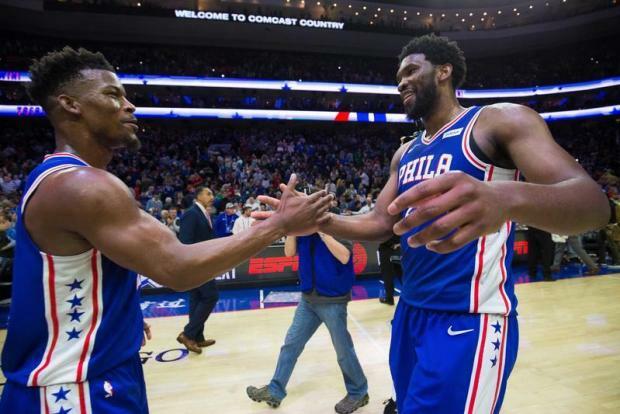 Embiid was also at the center of the bruising encounter's flashpoint in the third quarter which led to Celtics star Marcus Smart being ejected. Harden's half-century led the scoring but Memphis grabbed victory courtesy of 35 points from Mike Conley and 33 points from Jonas Valanciunas. In Cleveland, Colin Sexton and the Cavaliers took full advantage of Giannis Antetokounmpo's injury absence to score a 107-102 upset of the Eastern Conference leaders.